RSVP if you are coming so we can cater for those attending: a light supper will be served. Please come and consider nominating for the committee; some important members are stepping down and we need people who want to contribute to our society. The commitment is not too onerous and it is an enriching experience shaping Jungian activities in Brisbane. Speaking from experience the last committee are a wonderful friendly caring group of individuals who have enjoyed working together. All nominations of course will be open so don't be shy. Don't forget to let us know if you can come to the AGM - we would love to see you there. Working with communities is not about art, it is about process, inclusion, tapping into the imagination and developing a visual language. Observing the process is one way of slowing things down. It allows for the small parts to be acknowledged and take their place, creating a framework to improvise in. It allows access to other forms of expression 'where all things can exist' for those unable or unwilling to communicate with words. Much of the work I have done in the past 20 years has been as a community artist, developing and facilitating many varied Creative Art projects with marginalized people in Sydney and regional NSW and QLD. One of these programs was facilitating an Art and Alzheimers Program in partnership with ArtsOutWest and Bathurst Regional Gallery.. This program won the Regional Arts Award for innovation, as well as IMAGinE Award recognizing innovation and excellence in Galleries and Museums in NSW. My own artwork in the past few years has been about identity. Further to this I am working on a Death and Life Series in painting and sculpture. Cate is a visual artist working across various mediums. Her recent work is mainly about place and connection, as a non indigenous person in Australia. Currently her practice involves drawing and painting on paper and canvas with natural pigments, resins and other found material. 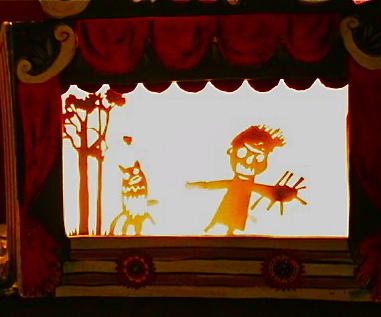 There is also a 3D element in her work and sometimes an overlay of film and animation. Cate has been a Community Artist for many years, artist in residence at festivals and conferences and has worked with marginalized groups. This ranges from work in prisons, with disabilities, mental health, youth, with indigenous people and in regional and remote areas. As a musician she has toured and recorded with many Australian artists and currently sing and play guitar in the Bluegrass band and duo Fat Wombat. In 2011 she wrote and directed a site specific performance work”On becoming a witch”. This work was in collaboration with Local Stages Bathurst, Newcastle Uni and CSU and the local community and was staged in the high country of Yetholme NSW.